This contemporary series of wall sconces offer a simple but elegant solution to ambient lighting for home or commercial applications. 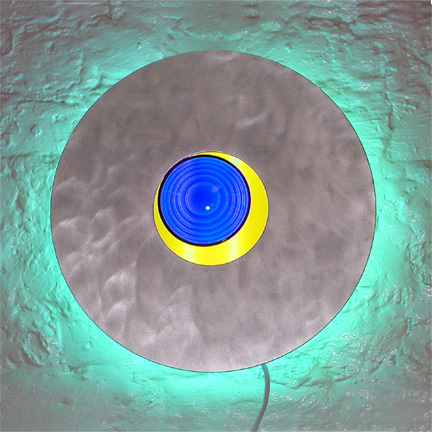 A contrast of colors is presented in this original and unique series of wall sconces that incorporate antique colored glass lenses and a variety of neon colors combined with brushed aluminum. The colors displayed may vary from the original due to variations in how the internet and computers display color as well as to shifts in hue inherent in the photo process. Most neon colors are available. Custom designs of sconces are available.